Upon first reading “Gatsby” — like most Americans — at age 15 in a sophomore English class, I was both underwhelmed by the book itself and puzzled by the extravagant praise that history has heaped upon it. By happy coincidence, that was the year that the recent remake of the “Gatsby” movie, starring Leonardo DiCaprio and Tobey McGuire, made its glitzy, symbolism-laden debut. My best friend and I, humanities nerds that we were (of different persuasions — mine literary and hers historical — but fuzzy creatures nonetheless), roped our parents into driving us to the movie theater to see it on a school night, since neither of us had our license. While my opinions on “Gatsby” and its movie adaptations merit another article altogether, one of the main failings evident in “The Beautiful and Damned” after being introduced to the Great American Novel™ was that it was really a “Gatsby” rough draft where Fitzgerald hadn’t quite figured out what to say or how to say it. “The Beautiful and Damned” was published in 1922, three years before “Gatsby” hit storefronts. Anthony Patch, our socialite-slash-presumptive-business-tycoon protagonist and his girlfriend-turned-spouse, Gloria, are Gatsby and Daisy without the clueless likability or complicated redemption. Since Anthony and Gloria are ostensibly autobiographical — a kind of dramatized caricature of Fitzgerald’s marriage with Zelda, pinned in place by his disdain for the Jazz Age — their relationship is less charming than cathartic, the gross, pus-draining relief of popping a zit. The Patches are pretty and purposeless, dramatic and delusional, in love with either each other or their own entitlement — and that seems to be the point. Gloria and Anthony stumble into ruin like Satanic envoys, tripping on their pride, lust and envy on the way down from undeserved grace. They become avatars of Adam and Eve, their destinies predetermined by the book’s title and their sins bracketed by self-importance; they are the archetypal couple onto whom we project our collective contempt. Obsessed with the same decadence and directionless-ness that characterizes the upper class in “Gatsby,” the titular beautiful and damned love nothing and learn nothing, critical in the way of Nick Carraway and hypocritical in the way of Daisy Buchanan. Gatsby may have been tragic because of the intensity of his conviction, but Anthony and Gloria are tragic because of their utter lack of it. In writing Anthony and Gloria in such trite, two-dimensional terms, though, Fitzgerald shoots himself in the foot; the Patches’ inhumanity makes them inaccessible. Their irresponsibility is repulsive; their careless wealth is pornographic; their selfishness is overtly offensive. It’s a tricky conversation; should Fitzgerald have been critiquing 1920s culture, then he certainly succeeded in making his audience dislike his main characters. If, however, Fitzgerald’s intention was to romanticize or to redeem some slice of humanity, then the irony in his inability to do so borders on debilitating. Fitzgerald has Anthony, in a fit of amateur authorship, bemoan, “I’m sick of all this shoddy realism. I think there’s a place for the romanticist in literature.” Should we take Anthony at his word, then, Fitzgerald was not, in fact, completely condemning his generation, but trying to find something forgivable in it — and failing spectacularly. In that case, the Patches’ entropic hardships are an exercise in empathy for the reader, a test of the strength of generosity in the face of unworthy recipients. It’s a self-sacrifice of Christian proportions, absolving Anthony and Gloria of their self-destruction out of a resigned sort of altruism. Fitzgerald fixates on the inertia of Anthony’s and Gloria’s irredeemability, their hypocritical hyper-awareness, with a kind of masochistic glee, saturating his pages with “the wretched aura of stale wine, with its inevitable suggestion of beauty gone foul and revelry remembered in disgust.” In the midst of this (admittedly lovely) descriptive fog, I suppose that Fitzgerald is seeking to elicit sympathy, or distaste or something. One of my recurring criticisms of Fitzgerald’s writing is his tendency towards a flat tone, in which climatic moments come out of nowhere and action is pockmarked with diction too deliberate to be authentic. I’ll admit that Fitzgeraldian text is resplendent with these pretty turns of phrase, littered with quotable nuggets that we print on tote bags and t-shirts, but the narrative coherence leaves a lot to be desired. “The Beautiful and Damned” is exemplarily lackluster, and it treats us to the underdeveloped ancestors of iconic Fitzgerald lines: “You can’t ever quite repeat anything,” in lieu of, “Can’t repeat the past? Why of course you can!”, “a sense of time rushing by ceaselessly and wastefully — assuaged only by that conviction that there was nothing to waste,” in place of, “And so we beat on, boats against the current, borne back ceaselessly into the past” and, “I don’t care about truth. I want some happiness,” preluding, “I hope she’ll be a fool — that’s the best thing a girl can be in this world, a beautiful little fool.” Anthony says of Gloria, “It seemed that the only lover she had ever wanted was a lover in a dream,” a blunt verbalization of the longing for Daisy’s love that Gatsby always has but never quite recognizes as unrealistic. And that love — that consuming, self-deceptive love — becomes archetypal, chaotic, bleak. In “Gatsby,” Nick recalls that, “The last of the sunshine fell upon [Daisy’s] glowing face with romantic affection.” In “The Beautiful and Damned,” that very sunlight is turned cynical, that affection turned petulant and disillusioned like that of a spoiled child: “Desire just cheats you. It’s like a sunbeam skipping here and there about a room. It stops and gilds some inconsequential object, and we poor fools try to grasp it – but when we do the sunbeam moves on to something else, and you’re got the inconsequential part, but the glitter that made you want it is gone.” This haughty bitterness isn’t interesting in and of itself; Daisy, at least, in “Gatsby,” is well aware of the elusive sun, but she ignores it, spiteful and insistent, and closes her fist around the warmth left in the empty air. “The Beautiful and Damned” is a novel of privilege and depression, vanity and chagrin, lofty elitism and little empathy. It reads like an ineffectual exposé, a laundry list of Fitzgerald’s personal critiques of the society in which he lived without the awareness that those problems — the economic indiscretion, the doomed marriage, the self-indulgent infidelity, the clash of masculinity and mental health — are not special. Fitzgerald’s half-hearted attempt to unearth the romantic, the salvageable, the hopeful in an otherwise nihilistic text fails on a historic scale, for he does nothing but reaffirm his own self-hatred. 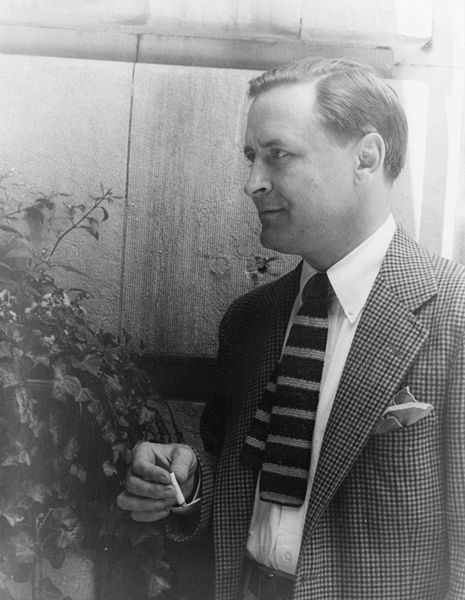 At one point titled, “The Romantic Bitterness of Things,” Fitzgerald’s early drafts were perhaps a more truthful meditation on his morbid fascination with the graceless lethargy of Anthony and Gloria. “The Beautiful and Damned,” in its final form, is, like Anthony, absent a lesson; it is glittery but gutless, bloated and hollow as blown glass. Contact Claire Francis at claire97 ‘at’ stanford.edu. Hi all! Talk to me about fairy tales and mythology, musicals, mental health, feminism, Harry Potter, old Disney Channel media, Gothic fiction, Italy, television shows (past and/or present), Anne Sexton, the publishing industry, yoga, or how to not overshare to strangers.